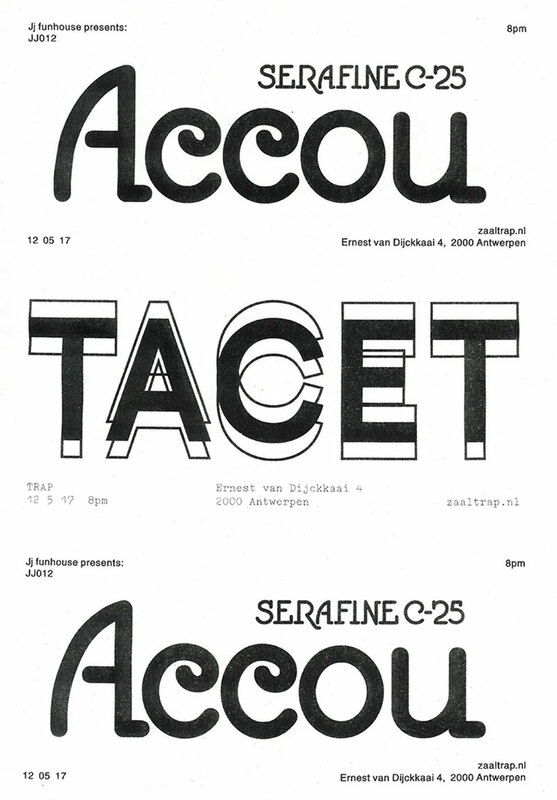 'Serafine' by ACCOU at TRAP. JJ012 is a C-25 by Accou, a somewhat mysterious frenchman residing in Brussels with a history of hard-ware jams and spaced out synth-fog, but on 'Serafine', he only used his electronic brainmachine. If you like those semi-hysteric moments in weird eighties b-movies, especially the party and artworld-scenery, then this one is for you. A tape filled with digital daydreams that turn your couch into some time-travelling vessel. Ikebana kitsch mixed with tribal flavors and ethereal voices from all the corners of the galaxy: it's all there. No wonder these sounds are made as a tribute for American sound-effects maestro and composer Frank Serafine, the genius behind the soundworld of blockbusters like Tron, Star Trek and Poltergeist and tons of other movies.